Saudi Crown Prince Mohammad bin Salman said, "We believe that Pakistan is going to be a very, very important country in the coming future and we want to be sure we are part of that. Pakistan today has a great future in store with a great leadership". 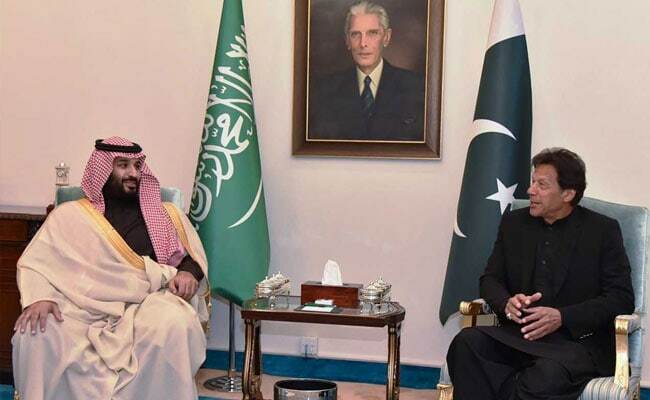 Visiting Saudi Crown Prince Mohammad bin Salman has expressed optimism about the economic future of Pakistan, saying his country had been waiting for a leadership like that of Prime Minister Imran Khan to partner with Islamabad in various areas. Addressing a reception dinner on Sunday night at the Prime Minister House hours after he landed in Pakistan, the Crown Prince said Pakistan was a "dear country" to all Saudis and that the two countries "have walked together in tough and good times", Dawn news reported. "We believe that Pakistan is going to be a very, very important country in the coming future and we want to be sure we are part of that. Pakistan today has a great future in store with a great leadership," he said. The Saudi royal said his country would collaborate with Pakistan economically, politically and in terms of security. "We believe in our region, that is why we are investing in it." 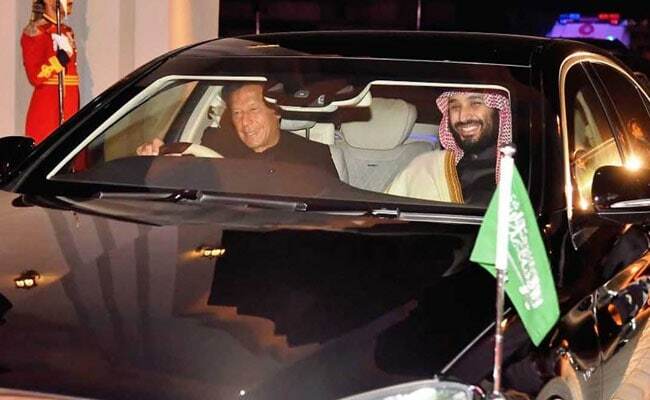 Breaking protocol, Imran Khan personally drove the Saudi royal to the Prime Minister's House. "This is my first trip (to the) east since I became the Crown Prince (in 2017) and the first country (that I have visited) is Pakistan," he added. Before the dinner, the two countries signed Memorandums of Understanding (MoU) for bilateral cooperation worth $20 billion. The deals include exploration of investment opportunities in refining and petrochemical sectors; cooperation in the field of sports; financing agreement for the import of Saudi goods; power generation projects; and development of renewable energy projects. Meanwhile, Prime Minister Imran Khan during his speech at the reception dinner said that Saudi Arabia had always been a "friend in need" to Pakistan. He invited Riyadh to avail opportunities from the China-Pakistan Economic Corridor (CPEC) and Pakistan's close links with Beijing. The Prime Minister also put forward two requests in front of the Crown Prince: First, he requested the Saudi royal to allow Pakistani Haj pilgrims to undergo immigration at the three major Pakistani airports before leaving for Saudi Arabia for their convenience. Second, Mr Khan urged the Saudi authorities to look into the hardships of the Pakistani labourers working in the Kingdom. Also on Sunday, Mr Khan and the Crown Prince held a one-on-one meeting which was followed by the inaugural session of the Saudi-Pakistan Supreme Coordination Council, Dawn news said. Amid heightened security and arrangements in the twin cities of Islamabad and Rawalpindi, the Crown Prince arrived at Nur Khan Air Base in Rawalpindi on Sunday evening. He was received by the Prime Minister, Army Chief Gen Qamar Javed Bajwa and other senior Cabinet Ministers. The Crown Prince was given a 21-gun salute. Breaking protocol, Mr Khan personally drove the Saudi royal to the Prime Minister's House. The visit was initially scheduled for February 16, but was delayed by a day for unknown reasons. After Pakistan, the Crown prince will travel to India, where he will meet Prime Minister Narendra Modi. Northern Ireland A Hit For Tourists Worldwide, Courtesy "Game Of Thrones"